Make a dramatic entrance in this ravishing red gown. 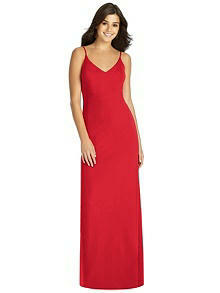 A slight v-neckline and flowing fishtail skirt gracefully play up every curve. Stunning stretch crepe fabric hugs the body to form a fitted, flattering look.